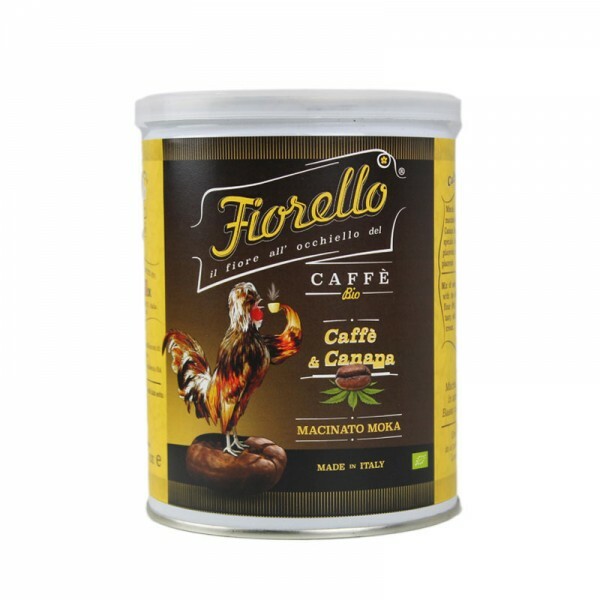 Coffee and Hemp FIORELLO Caffè ® - Ground Moka is a blend of selected and ground bio coffees with the addition of organic hemp flour (8%), which makes this blend tasty, soft and pleasant. Persistent cream with a delicate nutty aftertaste. Made in Italy. 250 g / 8.8 oz tin can (net weight). Ground and packaged in a protected atmosphere. Low acidity content. Via I Maggio, 12 - 48032 - Casola Valsenio RA.